Going to the beautiful island of St. Lucia? There are so many places that you can visit and so many secret gems awaiting your discovery. Choose a tour company that has your same interest in mind when it comes to visiting the island of St.Lucia. At Serenity Vacations, you come first. They are so many different tours that you can choose from. They will help you customize a tour that works for you and your crew. Serenity Travels is a family owned local company and is known to be one of the best tour companies on the island of St.Lucia. So you are sure to get the best of St.Lucia with them. Wanna know what they have in stock? Then follow me below to see what adventures you can plan with Serenity Vacations. All these tours could be booked with Serenity Vacation at ambassador@serenitytvl.com with code JSTS for some greats rates. Serenity Vacations offers a number of different options for tours, so depending on what you and your crew are into they will have something to suit you, whether it is on Land, Sea or you want to take to the Air. St.Lucia is an island with so much to offer just on the land. Here are is a list of a few Land Activities that Serenity has to offer. You are on an island and what are islands surrounded by? Nothing but big beautiful oceans of course! Let’s move on over to the Sea Tours and see what adventures could we get into on these beautiful oceans. Instead of taking a 60-minute drive to your resort, wouldn’t you just love to arrive in 10 minutes and start sipping on whichever cocktail you can get your hands on? Serenity Vacations also offers a helicopter transfer from the airport to your resort. Start your vacation as soon as possible and avoid the winding roads and the traffic. You will be glad you did. At Serenity Vacations, you get to customize your own tour. So whether you feel like staying on land and doing some hiking, with lunch followed by a trip to the beach, or doing a sunset cruise for you and your special someone, they have got you covered. You are on the beautiful island of St. Lucia and you want to explore a bit more but don’t quite know what to do. Why not hop on over to a different island. How can you do that you may ask? Well, Serenity Vacations has an amazing island that you can just hop on over to. Come with me and take a look to see where we are headed. The Grenadines is one of the hidden gems in the Caribbean islands. Imagine getting the chance to visit another island in one vacation. Well, Serenity Vacations can make that happen. Spend the day in the Grenadines and have that all-inclusive tour that you have always imagined. Included in your day tour is a pickup right from your resort, prices vary depending on where you are staying, a plane ride over to the Grenadines, tour of the beautiful island, beach time, Champagne breakfast and a Buffet lunch. What more could you ask for? That sounds like a full fun day to me. Serenity Vacations is a family based company and is one of the best tour companies in St.Lucia. Being family owned, it gives them that special touch added to their name. The customer always comes first, everything is catered to you as the client. They welcome you right into their family as if you were one of their own. Booking with Serenity Vacation, you never have to worry, because family always looks out for you, right!!! Feel free to leave your comments below if you have booked with Serenity Vacations or if you have any questions. We are always happy to help. I hope you enjoyed your time on our island paradise, St.Lucia. St Lucia is on my bucket list! Pinning for future use! 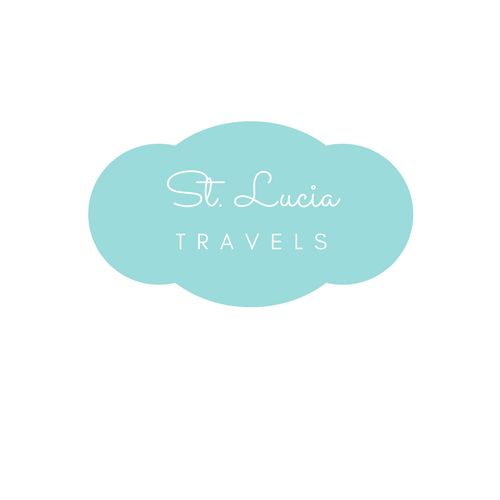 St. Lucia has always been on my list! Great post!